This is the video of ReBuildUp’s Jobs Course @ Nussbaum Center on WFMY News 2’s “Good Morning Show” on Monday, June 9th. This event is generously sponsored by Summit Credit Union. Learn more and RSVP for the event here. “Summer is all fun and games for a teen until they realize they have no idea how to balance a checkbook. 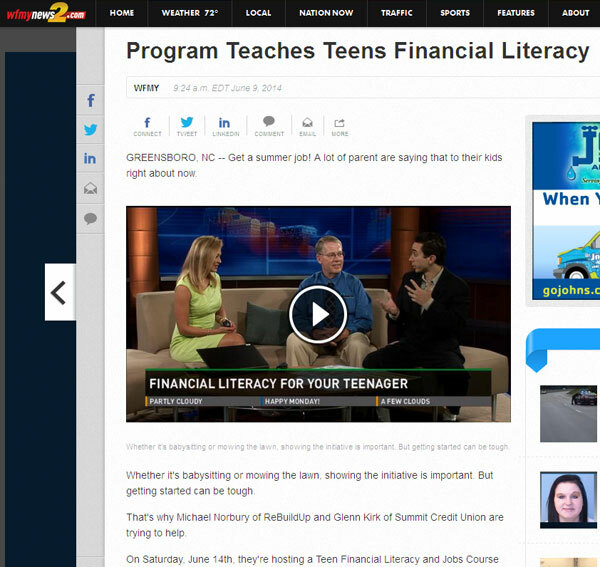 With a heated national discourse around the financial struggles of post-grads squeezed by student debt and low-income jobs, the Greensboro Public Library and Greensboro Municipal Federal Credit Union have teamed up for an Economic Literacy Summer Series. Pick up the March Issue of Natural Triad Magazine and turn to Page 13 to see a write up on our Saturday, March 8th from 1-2:30pm Pitch Drill Contest at Deep Roots Market. This is the same magazine 1st, 2nd, and 3rd place Pitch Drill Contest Winners will be featured in for the May Issue. So come on out! It’s confirmed. The story Time Warner Cable News14 (Triad) did on the Sunday, January 19th Economy Jr at Deep Roots aired multiple times that night and into the next day. No sign of the story posted on their website. If we find something, we’ll let everyone know! 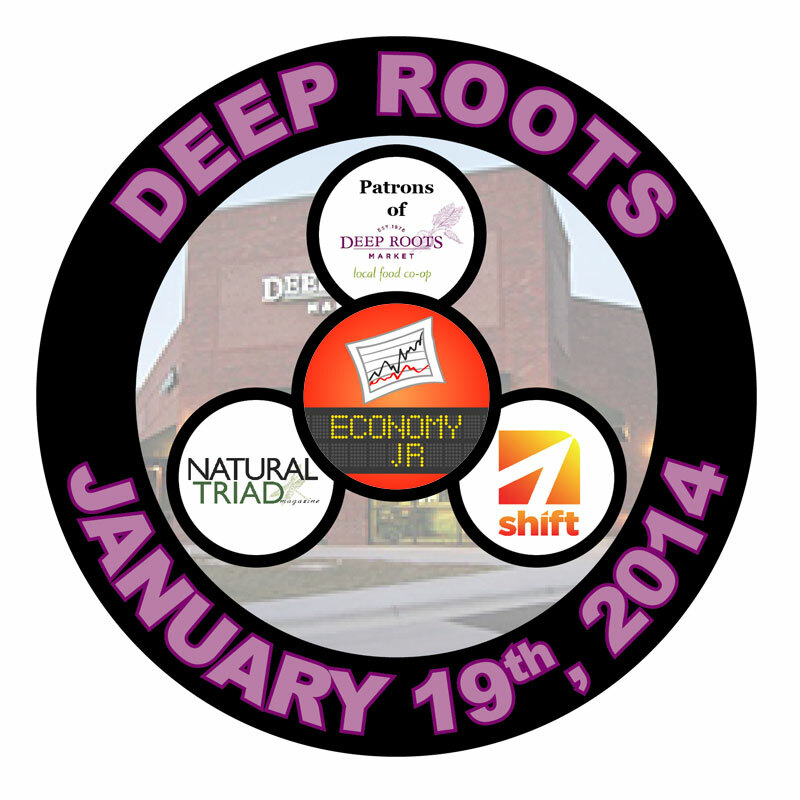 Look for our upcoming Economy, Jr. event being held Sunday, January 19th at Deep Roots Market in Downtown Greensboro from 2:00-3:30pm mentioned in the News Brief section (page 13) of Natural Triad Magazine’s January Issue. NTM can be found at over 1,000 locations throughout the Triad (Guilford, Forsyth, Alamance, Randolph, Rockingham, Stokes and Davidson counties). Click Here to see mention of Economy, Jr. in the online version of NTM.